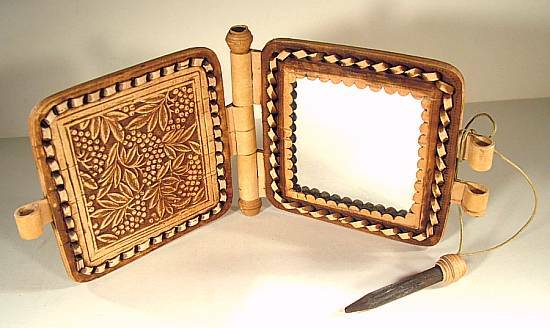 Folding mirror with design incorporating butterfly, flowers, and strawberries. 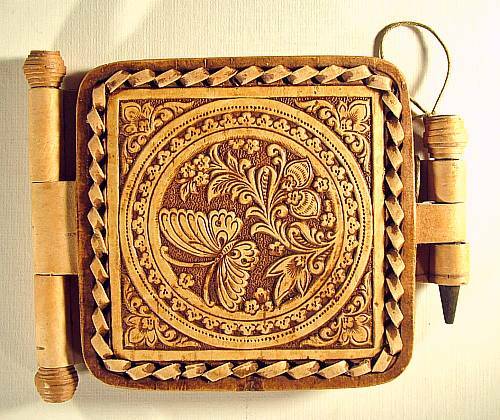 Made in Russia from birch bark. Very nice gift for lady.